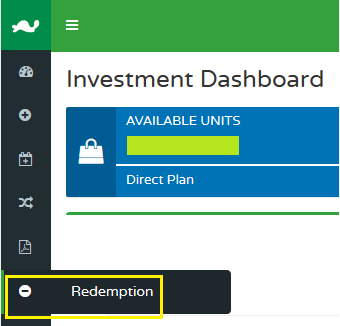 How To Online Sell or Redeem PPFAS Mutual Fund? Finance Guru Speaks: This article will guide on how you can Online Sell or Redeem Parag Parikh Long Term Equity Fund units. The same steps can be applied to sell Parag Parikh Liquid Fund as well. It is better to register yourself to the Parag Parikh MF (PPFAS) website in order to perform online transactions like Purchase, Redeem etc. 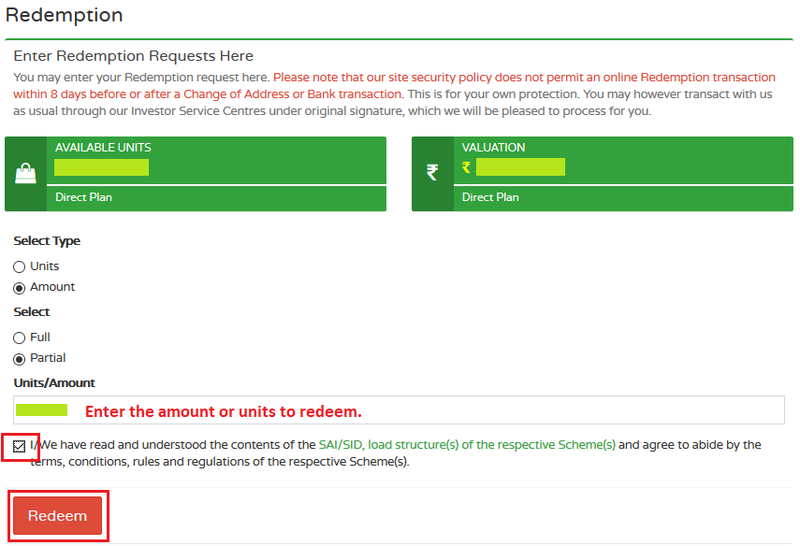 If you are an existing investor, you can follow this link to get yourself registered to this fund house. Make sure you have your Mobile No. 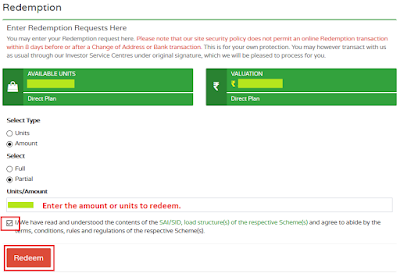 and Email ID correctly registered in the fund house. 1. 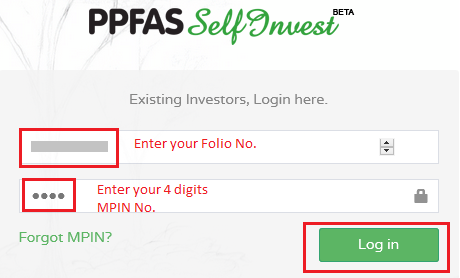 Visit PPFAS Self Invest Page by clicking here. 2. Login to your account by using Folio No. and MPIN. The Mutual Fund redemption amount will be directly credited to your Registered Bank Account.